Rey and his wife Grace have been married since 1997. They have 3 children: Keilahna, Dominik and Keyden. A Filipino native, Rey Castillo learned how to play Volleyball in the streets of Manila where pick-up games became city league. In 2010, he founded Impact Dynamic Training and has served as Club Director since its inception. Rey has coached volleyball for over 20 years, and he has built the Impact Dynamic Volleyball program into a well respected volleyball club in Michigan. Rey has been very active in building youth volleyball in West Michigan. Rey’s playing career in the United States started in 1988 where he played in the USVBA Junior Olympics in Minnesota. When his family moved to West Michigan in 1989, Rey continued playing volleyball at a local organization and received the team’s Most Valuable Player award. His college volleyball pursuit landed him at Grand Valley State University where he joined the men's volleyball club. There he was exposed to different levels of competition and was recruited to play USVBA men's volleyball. He played for 14 years. Rey started as a Junior Olympic coach in the early 1990's. In the mid 1990's he was hired as Hope College's Women's Volleyball assistant where he helped the Flying Dutch to multiple NCAA Division III playoff appearances. In addition, he was coaching a back to back volleyball season at Holland High School as a varsity coach. During his career as a varsity coach. He led Holland High School to victory as they captured the District Championships in 1997. From 2001 – 2010, Rey coached other local high school teams in West Michigan. In 2012 he was hired under Coach Amber Warners as the Calvin College's Women's Volleyball assistant. He was instrumental to Calvin College NCAA Volleyball DIII National Championships in 2013. A year later, he helped Calvin to an MIAA regular season co-championship, an MIAA Tournament title and a trip to the NCAA III semifinals. 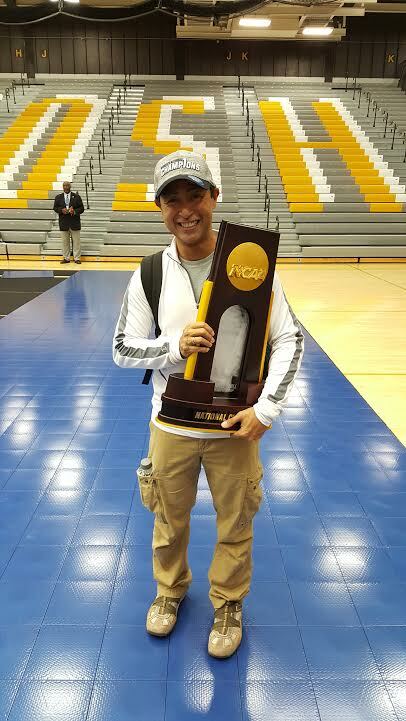 In the 2016 season, Rey won his 2nd National Championship with Calvin College Knights.